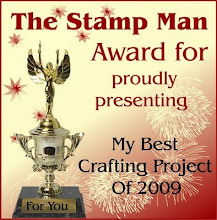 The Stamp Man: The Stamp Man 3rd Annual Awards!!! For the last 2 years we have held The Stamp Man annual awards and we'd love you to join us for our 3rd year by proudly presenting your best/favourite project that you feel you have made during the year. It doesn't have to be something you entered for our challenges, the most important part of this is that we would like you all to have fun and enjoy taking time to look back on your crafting over the last year. 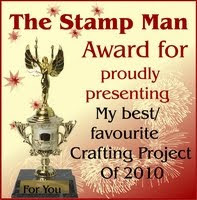 £30 of Stamp Man Gift Vouchers, and 4 runner up gifts! - Link to a post about our annual awards. Within the post you should then either show your project again or you can place a link to your original project whichever you wish to do. - Use Inlinkz to link to your post. 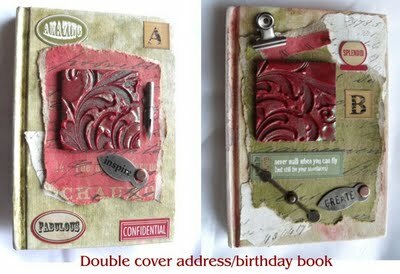 The design team show their favourite challenge projects, and what a great selection there is from the team! If you have the time, do call at their blogs to read more about their projects and perhaps leave them a comment. 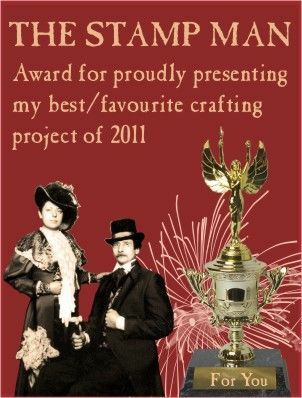 On behalf of the team I would like to thank everyone who has taken part in our challenges this year, it has been such a pleasure to see all your creativeness throughout the year and we hope you will join us again in 2012. Click here to visit our Challenge blog for more details about the awards.